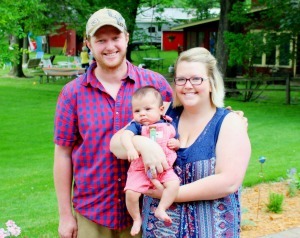 Katelyn and Matt had a choice to make: in vitro fertilization or adoption. The couple was planning a vacation to Colorado, and they decided that the long car ride would give them the perfect opportunity to talk about their options and make a decision. But when they woke up on the morning of the trip, they both knew what their answer would be. But while the hopeful parents were certain of their adoption decision, they also had some uncertainties that they needed to face — and some lessons to learn along the way. Not long after finalizing their adoption, Erin and Jared Hart took their six-month old daughter Charlie to a playdate with another adoptive family. The parents had a two-year old son named Henry, and these two kids had more in common than just adoption – in fact, Henry and Charlie share a birth mother. When I think about the moment we decided to pursue adoption, I remember feeling anxious, scared, and most of all excited about the possibilities that were to come. The idea that I would be a parent at any time was a feeling that I would describe as a balloon getting ready to burst! I was over the moon excited. February 13 was our 25th birthday and to celebrate we want to share with you our founders’ adoption story. Watch the video below or read Susan’s story. When I was growing up, all I really wanted to do was marry the man of my dreams and start a family. I married the man of my dreams but the family part was not able to be, at least not biologically the way most people plan. After many failed pregnancies, we made the decision to adopt an infant. We knew we both wanted to be parents and we knew we could love a child the same regardless if we gave birth to him or her. As we wrap up National Adoption Month, we would like to leave you with a beautiful story of how one adoptive family survived the wait and made it to their happily ever after. 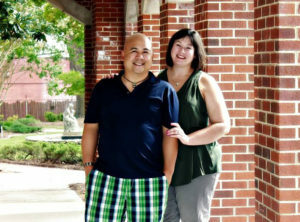 Susanne and her husband Sean adopted their little boy, Dylan, through American Adoptions in 2012. Now, Susanne has shared with us the story of their amazing journey into parenthood. One of our favorite things here at American Adoptions is to hear adoption stories from our adoptive families, birth parents and adoptees. We love hearing all the wonderful things that make your adoption story unique and special and sharing those stories with our readers.